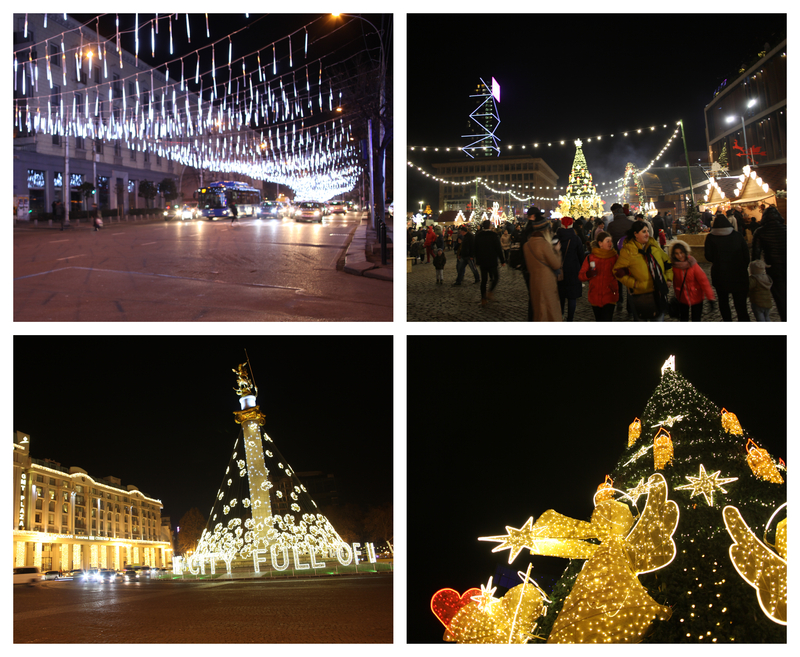 One of the most important celebrations in Georgia is ringing in the New Year. It’s a truly unique celebration that mixes European and Asian practices in a way that feels distinctly Georgian. I think the best way I can describe it is somewhat organized chaos. It’s the right amount of unruly where everyone in the city lights off their own personal fireworks show at midnight for a spectacular display, but not so out of control that you’ll find random tire fires in your street at midnight. The lead up to New Year’s is spectacular. The city decorates itself with miles and miles of lights that make you feel like you’re walking through a magical forest. Numerous Christmas markets spring up, some of which last for weeks, others just a few days. Near our house, the roadside vendors selling fish and fruit swap their goods for fireworks and wrapping paper. The whole city just feels festive. 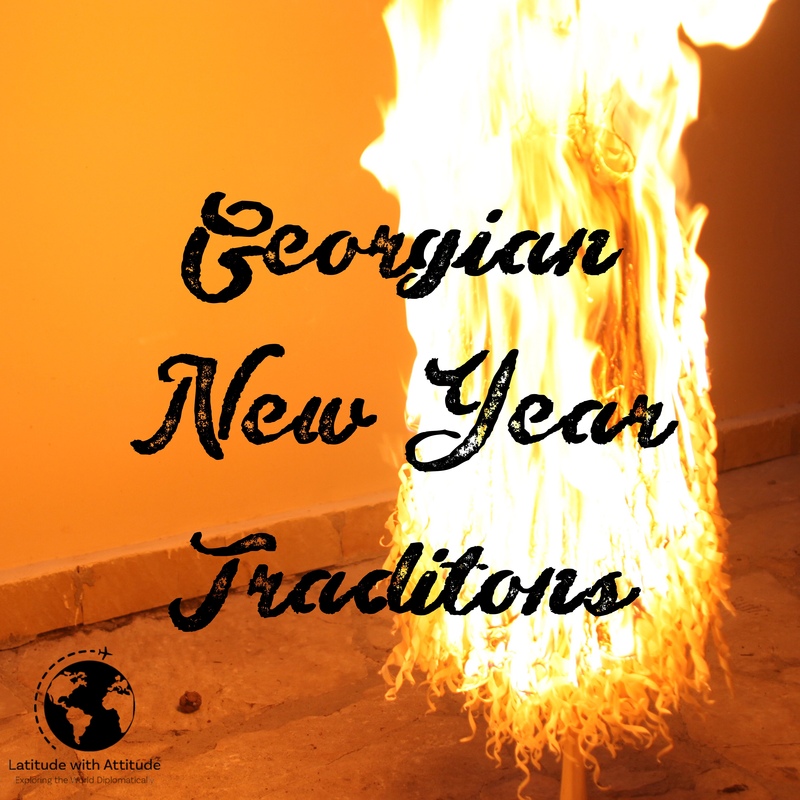 In a lot of ways, Georgians celebrate New Year’s in a manner that resonates with many other cultures. The family is at the center of every celebration. We were warned by many to get our grocery shopping done before December 26 because after that point the stores would be absolutely mobbed with locals stocking up for several days’ worth of feasts. It’s not uncommon for families to hop from house to house for a full week of celebrations. As expected, there are a few traditional foods that are prepared for New Year’s. Churchkhela, of course, the sweet string of walnuts dipped in thickened grape juice and left out to dry, is one of the stars of the show. For the main dish, you’ll find satsivi, a fried turkey dish served in oil. And finally, there’s gozinaki, which is similar to peanut brittle or candied bark (but with walnuts, what else?). At midnight on New Year’s Eve, locals put the sweet gozinaki in each other’s mouths in a sort of communion shared between loved ones. And then, there are fireworks. There’s no city-sanctioned firework display in Tbilisi, and goodness knows they don’t need it. Roadside vendors sell thousands of fireworks for weeks leading up to New Year’s, and for about two hours the sky is lit up with individual displays. The climax at midnight is absolutely spectacular. After such a robust celebration, you would think things would die down and return to normal after January 1, but in Georgia, you would be very mistaken. There is a very important ritual in Georgia, called Mekvleoba, the tradition centering around the first person who enters your house on New Year’s Day, the Mekvle, or first-foot. It is believed that the upcoming year will be similar to the fortune, joy, and luck that the Mekvle brings. Since this is such an important tradition, the Mekvle is often chosen beforehand. Aside – there’s a famous Georgian film set in the village, where instead of the chosen Mekvle, a random street dog is accidentally first to enter a home. At first, the family is devastated, but after a lucky year, the dog is revered by everyone in town as the luck-bringer, and he is heavily sought after the following new year. January 2 is just as important as January 1. The second of January is called Bedoba which means “day of luck.” It is believed that the way you spend January 2 determines how you will spend your entire year. If you want an adventurous year, you should have an adventure. If you want peace and quiet, you should spend it at home surrounded by family. Kind of a unique twist on New Year’s resolutions if you ask me. Now, since Georgia is on the Orthodox calendar, the celebrations continue for another few weeks. Orthodox Christmas is celebrated on January 7, and Old New Year is celebrated on January 14. Strict followers of the Orthodox faith will fast until Christmas and the New Year’s Eve supra (feast) will often not include meat or dairy. Finally, there’s the chichilaki, the Georgian Christmas tree. In addition to the green trees everyone knows, Georgians decorate a second smaller tree that has a very unique look. Chichilaki is made from hazelnut or walnut branches that are dried and shaved to form a small coniferous tree. They are decorated with flowers and fruit instead of shiny ornaments. 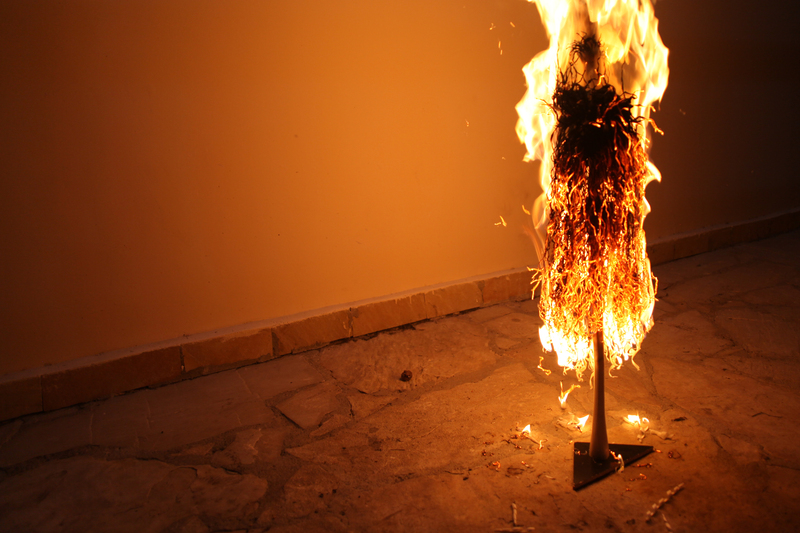 These little trees are then ceremoniously burned on the day before Orthodox Epiphany, January 19, as a symbol of cleansing oneself and the household of the previous year’s misfortunes. While winter may not be the most idyllic time to visit Georgia, it’s certainly one of the most iconic. Happy 2019, everyone!